Hotel with a typical norman structure, furnished with loving attention to detail. 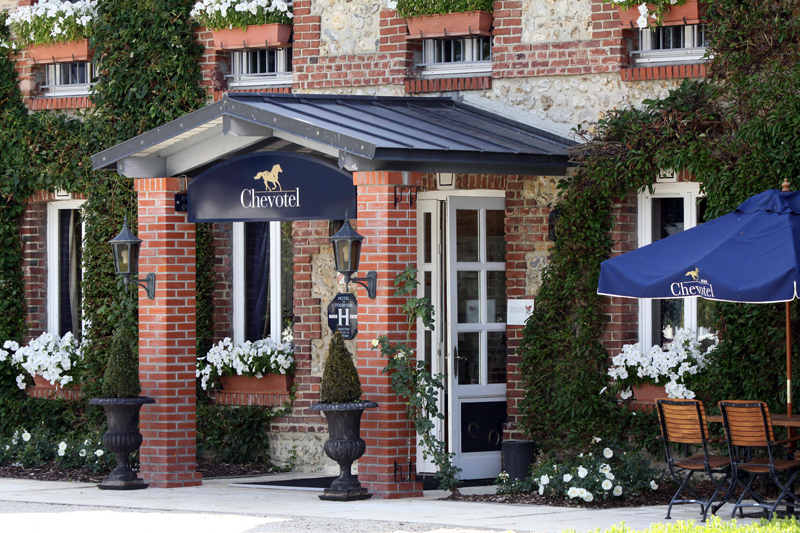 The Chevotel is situated in the heart of Normandy, at the gates of Deauville. Furnished with loving attention to detail, it is an ideal venue for horse-lovers, golf enthusiasts and guests in search of relaxation and recreation in an environment in harmony with nature. The Chevotel is the optimum starting point for exploring the region. It is only about 15 minutes to Honfleur and about 20 minutes to the beaches of Deauville. Enjoy our exceptional breakfast-brunch in the mornings, and in the evenings let yourselves be spoilt in one of the many restaurants in the area. Just ask us and we will recommend you a restaurant to your taste. We will also be happy to make a reservation for you. Our lovingly and comfortably appointed rooms and apartments await you in a welcoming, warm-hearted ambience. Treat yourself to a stay that leaves nothing to be desired. In our romantic park with its lake and many lounge chairs you can find peace and quiet and enjoy the dolce far niente. The structure of the Chevotel is more than 80 years old and the hotel and stud buildings are under monumental protection. In the 60’s and the 70’s the King of Spain’s horses were trained here. Up until 1995 the property belonged to the Lombard family, serving up until then as stud and family seat. The property, which by then was quite run down, was purchased by its present owners, the Rapp family in 1996, and completely restored. The renovation work lasted until 1998 and the Chevotel Hotel opened in the year 1998. Also the renovation work on the exceptional park was completed at the end of 1998. The hotel is located within a private stud that is about 30 hectares in size. Here the Rapp family breed international-class racehorses. To this day several Chevotel-group horses have won and made it onto the rostrum in France, England, Hong Kong, USA and Dubai. The typical Norman structure of the property has been retained and is furnished with loving attention to detail. The maintenance and preservation of this extraordinary place is of particular importance to the owners.